Lighting system is controlled via the chamber IntellusUltra control system. Three lamp banks are utilized in the chamber. The top two lamp banks consist of cool white compact fluorescent lamps. The bottom lamp consists of UV lamps. Lighting system with satisfy Option 2 of the ICH Q1B photo stability testing guidelines. 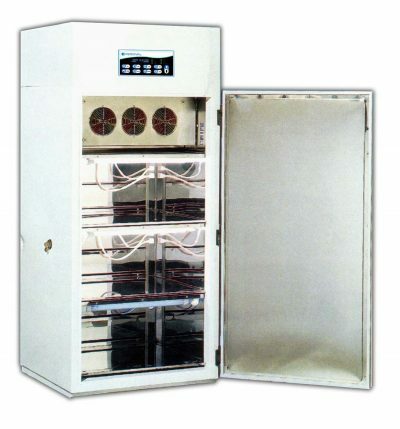 Operations within the chamber to be maintained by conditioned uniform air with low velocity.